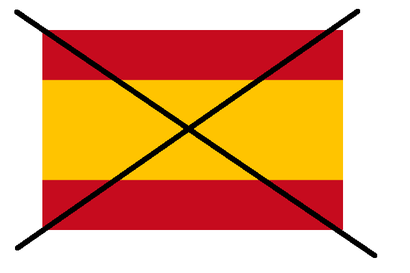 What Spain is doing now is just not OK - karljohanson's Jimdo page! Spain has ordered local politicians to be arrested just because they want an indenpendent Catalonia. That is not OK. That is a step back to Facism. I belived that Spain had come further. It is sadly not the case. Our only answer as citizens in an European country is to stay away from Spain and tell all the people we know, that they should do the same too. Spain has a huge tourism industry or I will say that they had this industry because we as European citizens should make a statement where we stop visiting Spain until they stop their undemocratic methods and start to embrace democracy again. Ask for a new vote. Perhaps people do not want independence after all if the vote is open and fair. As a citizen in a member state inside the European Union, I want to believe that it matters when we vote. If we vote for independence our votes should be respected if the majority vote the same as us. Maybe the day will come when the part of Denmark I live in will vote for indenpendence so we can rid of all the crazy rules the European Union has harnessed us with. When the day come, I want people to respect my vote. That is why I also respect the votes from the people who wanted an independent Catalonia. So stop trade with Spain until they get to their senses.